Located in the heart of Dongguan city in the Pearl River Delta, ibis Dongguan Dongcheng features 182 modern rooms each with an ensuite bathroom, free broadband Internet access, a work desk and LCD TV with international channels. 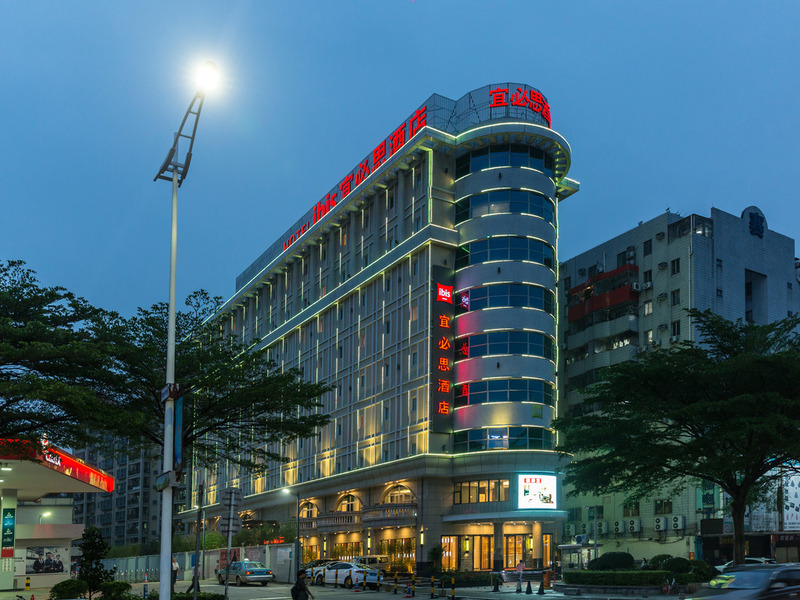 Positioned next door to Qifeng park, just 500 metres from the shopping centre and business centre, Ibis Dongguan Dongcheng features a restaurant with 24 hour snack service and free car parking and is 70 minutes from Guangzhou Airport and 8km from the Dongguan Bus Station. Come and relax, eat and drink... The ideal place for work and play. Didn't not expect to stay at DG so I made my booking late and also checked in around mid-night. The front-desk clerk spent more then a normal time to look for my booking and ......20 mins later I got my keys and went to sleep. Room was cozy and clean, quiet too. Checked out early in the morning and head back to HK. However, 5 mins away from the boarder, the front-desk clerk called and told me that they forgot to give me back my ID card, which means I could not pass the boarder. It took me few hours to wait for my ID card back at the boarder before I head back home. Wonderful location, clean, modern hotel. Nice staff, dont speak too much english, but very helpful. The internet is good for texting. not for streaming any thing. The room is very comfortable, I spent 2 weeks there and felt at home. local and western restaurants close by. Night Life a short cab ride. Great hotel for a great price. IBIS Dongcheng is very good value for money, very well located for our trip. We can book the hotel again. The improvement points are English speaking receptionist, paper-cups that could not hold the coffee, and no hair-dryer. I got the promo rate of 50% discount so if you are looking for low rate and you don't care about the conditions of the room and accessories, then this economy hotel is for you since it only have the basic requirements of a hotel where you can sleep for the night and freshen up. Don't expect to have good and delicious breakfast for the rate that you are paying. The transportation and surroundings are not very convenient as the location is not situated in a high foot traffic area where restaurants and entertainments are close to each other. Poor Breakfast, only porridge+boiling eggs+chinese breads available, coffee bag you've to ask at the receiption counter, hot drinking water been switch off, and you've to switch it on by yourself, what do you think ? Mostly worlwide Ibis hotel is good but not in China Mainland, we also stayed at Ibis Tianjin Tianwei. I visited Ibis Dongguan Dongcheng Hotel December 2012. I found this fantastic with super value. Taking this good experience. I visited the same hotel in June 2013. Wow! The toilet has unplesant urine odour and found lots of gabbage and dust under the bed. The sharp edges of the furniture start to get smoothened. So bad!